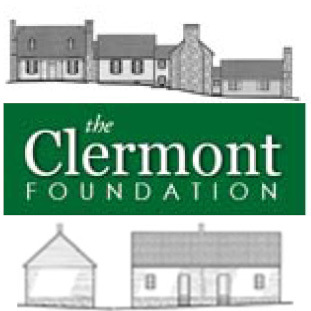 The Department of Historic Resources has two appointed citizen boards, the State Review Board and the Virginia Board of Historic Resources. The State Review Board—appointed by the agency’s director—consists of professionals representing the fields most relevant to the functioning of DHR. State board members include archaeologists, architects, historians, architectural historians, and preservationists. The Virginia Board of Historic Resources—appointed by the Governor—consists of citizens of the Commonwealth with an interest in, and commitment to historic preservation. The State Review Board and Virginia Board of Historic Resources meet jointly each quarter of the year, usually the third Thursday in March, June, September and December. What does each board do? During the boards’ joint quarterly meeting, the Board of Historic Resources votes on whether a nomination has made a case for listing in the Virginia Landmarks Register. If the board votes to accept the nomination, it is officially listed in the VLR at the completion of voting. 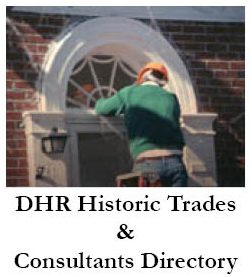 While the State Review Board does not vote to officially accept or reject nominations at the state level, it does vote on recommending to DHR’s director if a nomination should be forwarded to the National Park Service (which oversees the National Register program) for federal listing in the National Register of Historic Places. If the State Review Board so recommends a resource for forwarding to the NPS, the nomination is reviewed by the agency’s director, and is typically sent to the Keeper of the National Register within a month. The Keeper’s Office has a 45-day review period after which it either accepts or rejects a nomination for listing. What is the State Review Board’s role in the National Register evaluation process? During the National Register evaluation process, the State Review Board takes into consideration the recommendations of DHR’s National Register Evaluation Committee, which meets twice monthly throughout the year. The committee’s evaluations are summarized in a Preliminary Information Form (PIF). These forms are also considered at each quarterly meeting by the State Review Board. Typically during a meeting, the State Review Board considers completed National Register nominations in the morning session, and PIFs in the afternoon. The board’s approval of a PIF signals to an applicant that he or she may prepare a National Register nomination. After a formal nomination form is prepared, it is submitted to the appropriate regional office for review. DHR’s regional staff provides advice about a draft nomination. They may offer ways to improve the document so that it best identifies and explains the appropriate National Register criteria that would earn a resource listing on the National Register. DHR staff members may also advise on how to research a resource and offer other insights into helping a nomination’s sponsors meet the rigorous National Park Service standards of documentation for a historic resource. After a nomination form is completed, the department places the nomination on the agenda of the next forthcoming quarterly board meeting. A motivated applicant may see his or her Preliminary Information Form considered in one quarterly board meeting, and his/her completed National Register nomination considered in the next quarterly meeting. If you wish to contact any of the board members listed below, please notify Jennifer Pullen at DHR, (804) 482-6085. She will forward your request to a board member.